The Rim resort is conceptualized to a Colonial Thai Lue inspired designs with the special relationship of Thai landscape, local history, arts and handicrafts. We aim to be one of the close-up experience hospitality gimmick in Chiangmai with butler on stop service concept aiming to provide a wide variety of personalized and quality service from the arrival until the departure where one butler to answer the inquiry and satisfy them with no additional step of referral. It is about the ownership on all task at hand with focuses on a warm hospitality, greet smile and attentive to guest expectations. The Old City is a square area surrounded by ramparts and moats, which believe to be constructed in the reign of the King Mangrai. 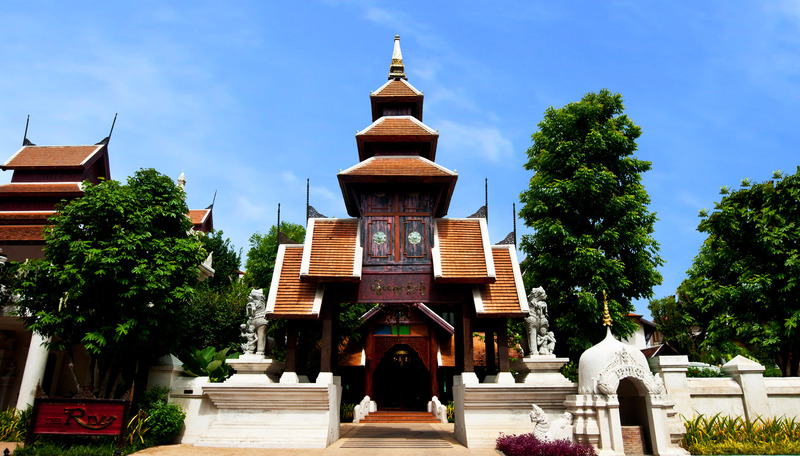 There are five gates around the city, which we are at the Pratu Suan Dok Gate; a few minutes to Chiang Mai International Airport, local temples, museums, historical landmark, the weekend market ‘walking streets’, the foothills of Doi Suthep and the Chiang Mai Zoo. The Boutique resort built in Lanna-Burmese style which is located in the old city along the fascinating canal in the Chiang Mai historical ramparts and moats. 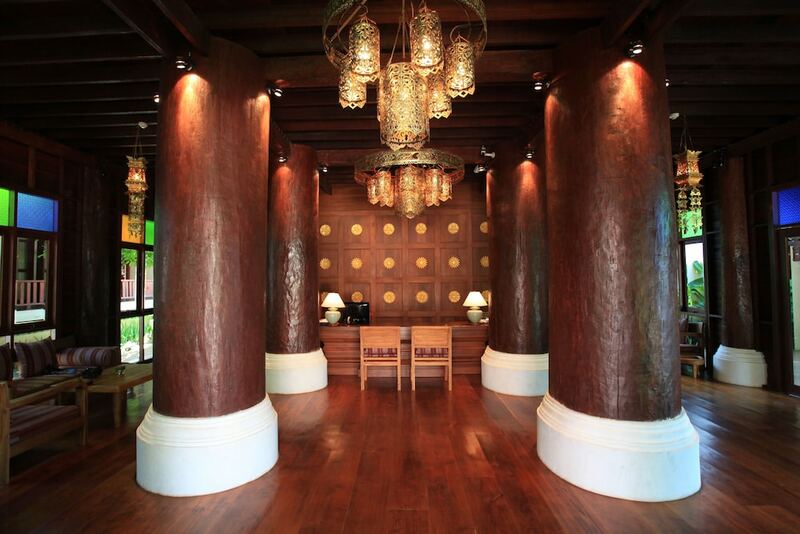 An old Colonial Thai Lue house stands elegantly in the centre of the resort where a welcome lounge is surrounded by an outdoor swimming pool, a tropical garden, a restaurant and a bar. Other services include free Wifi, gym, parking and many more. 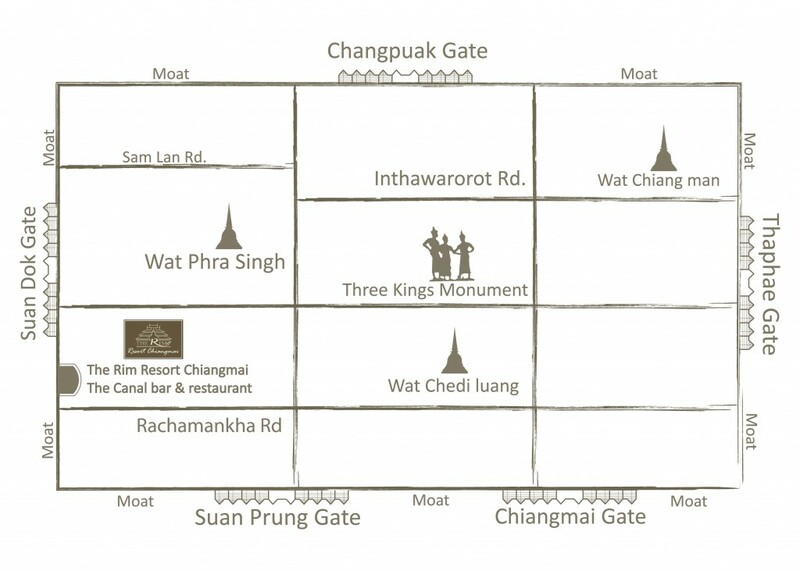 • For Taxi : Situated on Arrak Road, opposite Wattanothaipayap school, Suan Dok Gate 300 meters. ถ.อารักษ์ เยื้อง รร.วัฒนโนทัยพายัพ คูเมืองด้านใน ถัดจากประตูสวนดอก 300 ม.